Access Health Care Physicians is proud to announce that the National Committee for Quality Assurance (NCQA) has stated that Michael Reynolds, DO, has received NCQA Patient-Centered Medical Home Recognition (PCMH) for using evidence-based, patient-centered processes that focus on highly coordinated care and long?term, participative relationships. 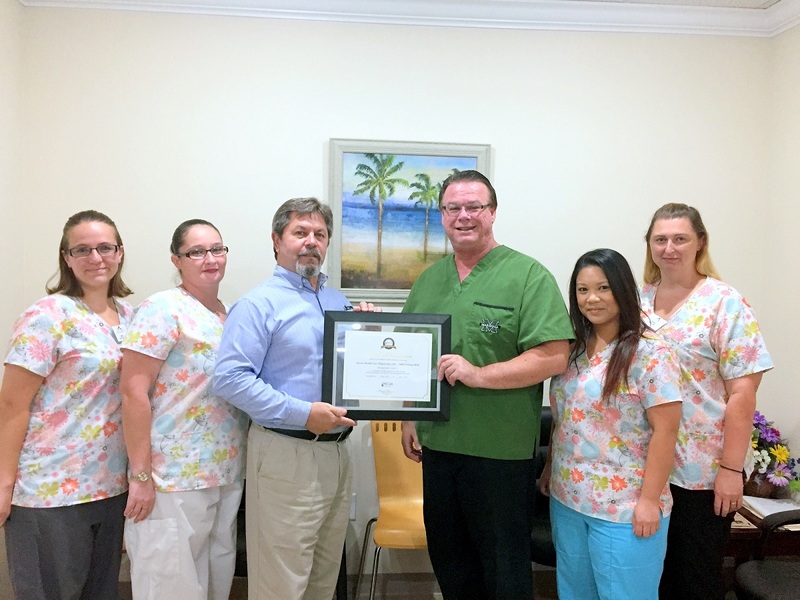 Dr. Reynolds has achieved recognition as a Level 3 Patient-Centered Medical Home. The office of Dr. Reynolds is located at 3480 Deltona Boulevard, Spring Hill, Florida 34606. Call 352-600-7900 to schedule an appointment. Dr. Michael Reynolds received his Doctor of Osteopathy from West Virginia School of Osteopathic Medicine in Lewisburg, West Virginia. He completed both residency and internship at Warren General Hospital, Warren, Ohio. Dr. Reynolds received his Bachelor of Science degree from the famous Marshall University in Huntington, West Virginia. The NCQA Patient-Centered Medical Home is a model of primary care that combines teamwork and information technology to improve care, improve patients’ experience of care and reduce costs. Medical homes foster ongoing partnerships between patients and their personal clinicians, instead of approaching care as the sum of episodic office visits. Each patient’s care is overseen by clinician-led care teams that coordinate treatment across the health care system. Research shows that medical homes can lead to higher quality and lower costs, and can improve patient and provider-reported experiences of care. “NCQA Patient-Centered Medical Home Recognition raises the bar in defining high-quality care by emphasizing access, health information technology and coordinated care focused on patients,” said NCQA President Margaret E. O’Kane. “Recognition shows that Dr. Reynolds has the tools, systems and resources to provide its patients with the right care, at the right time. To earn recognition, which is valid for three years, Dr. Reynolds demonstrated the ability to meet the program’s key elements, embodying characteristics of the medical home. NCQA standards aligned with the joint principles of the Patient-Centered Medical Home established with the American College of Physicians, the American Academy of Family Physicians, the American Academy of Pediatrics and the American Osteopathic Association. Access Health Care Physicians, LLC is a multi-service medical practice consisting of over 175 healthcare providers and over 915 employees at more than 110 locations throughout Florida. Access Health Care Physicians, LLC main office is located at 5350 Spring Hill Drive, Spring Hill, Florida 34606. For more information call 352-688-8116 or go to www.ahcpllc.com.